It is officially “that” time of year: the air begins to get cooler, bonfires, tailgating and football. The best part of all of that is fall beers begin to hit the shelves! 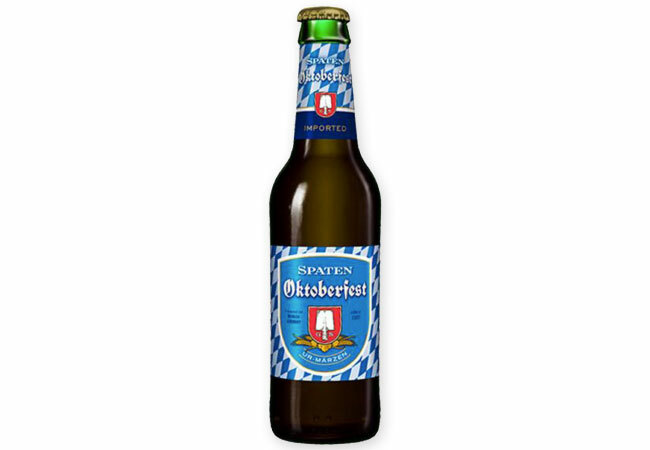 Spaten Oktoberfest is always a go to fall beer, after all it is the very first Oktoberfest beer in the world! Hard to go wrong with the original! Spaten has been brewing beer in the traditional German style since 1397, the brewery has been in the same location since 1854 and they have been sending us here in North America beer since 1909, that’s an amazing stat line. Obviously with that history they are making some incredible beers. A perennial favorite is their Oktoberfest, it pours a medium amber color with a beautiful creamy white head that beautifully laces the glass with each drink. The pour gives off the pleasing scent of big roasted malt, the flavor upfront is malty with a bit of caramel sweeatness that’s just sweet enough to nicely subdue the classic spiciness from traditional German hops. This beer is fall in a bottle!